As a wanderlust traveller, have you ever considered chronicling your journeys and sharing it with the rest of the world? Creating a successful travel blog, whether as a professional or a hobbyist, might seem like an arduous task ten years ago. Today, however, it’s easier than ever to start a blogging site! What’s great is that you don’t even need to be a coding guru to create one. You can create a successful travel blog such as: WanderingEarl.com, VickyFlipFlopTravels.com and NomadicMatt.com all by yourself! With companies such as WordPress.org and Bluehost.com, building and creating a website or blog has never been easier. Of course, if you want to create a travel blog, there are few things that you need to know. Here, we’ve got you covered with a super simple tutorial that will help you create a successful travel blog from scratch with Bluehost, one of the biggest hosting companies around. Note: This blog post guide contains some referral links, if you purchase a service through one of these links I may earn a small commission, this is at no extra cost to you. Please read my disclosure for more info. The first step towards creating a successful travel blog begins by giving it a powerful blog name (or a domain name). When you name your blog, it should definitely relate back to what you’re doing. If you’re focused on offering cheap travel tips, use words related to those. That way, audiences will immediately understand what your website is all about. 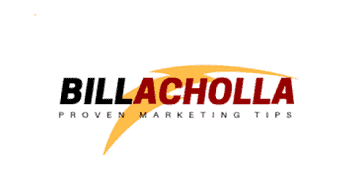 Try to limit your blog name to about 2-4 words maximum. The reason being, the shorter your name is, the easier it is to remember. Another thing to keep in mind, be simple. Don’t confuse your audience with niche jargons or weird slang names. If a reader has to figure out what your name means, you’ve already lost their attention. So keep your name short and simple! If you’re thinking of naming your blog with words such as “vagabond”, “adventure”, or even “nomad”. Then you might want to reconsider as there are hundreds of other blogs that use them. Be creative with words and think outside the box. d. Try not to limit yourself with your name. Consider this, if your domain name is “MyAdventuresInAsia.com”, then you’re stuck with content related to Asia only. Unless you’re going to specifically focus on one area only, it’s best to avoid words that can limit your content. Once you’re done picking out a name for your blog, you’ll need to register the domain name and sign up for a hosting service (the little computer that powers up your site). 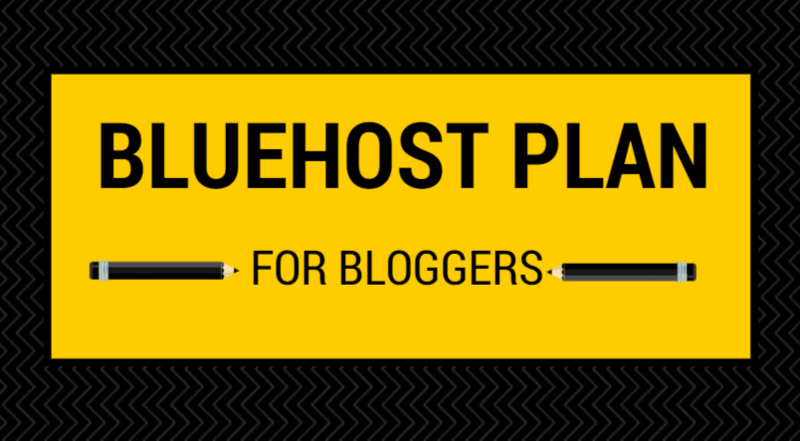 While there are plenty of hosting companies available, we recommend you sign up with Bluehost. Plus, if you sign up with Bluehost, you get to register your domain name for free for the first year! Step 2: Choose the hosting plan that best suits your needs. One of the best things about Bluehost is that their shared hosting plans only cost about $5 or less per month. This means that if you decided that blogging is not for you, then you wouldn’t have wasted a ton of money on it. Step 3: The next step is to choose your domain. If you’ve followed our previous step, you should have a name ready by now. Remember, you get to register a domain name for free when you sign up for the first year with Bluehost. Already have a domain? You can also connect your existing domain name as well. Step 4: Set up your account with a secure password and keep it somewhere safe in case you forget it. You’ll be needing them to access the Bluehost cPanel and to talk to their support team. Step 5: Once all that is done, it’s time for the final step which is to log into your freshly made Bluehost account and start setting up WordPress! If you need help, there are plenty of support resources for you. You’ve selected your hosting package and registered your awesome domain name. The next thing you have to do is install a content management system (CMS). Remember, a host is simply a place for your site to sit on, a CMS is what’s going to run your site. We recommend using WordPress as it is one of the most popular and easy to use CMSs around. If you’re a beginner blogger, WordPress offers plenty of plugins and templates that you can use to easily create an awesome looking blog. Step 1: Log into your Bluehost account to access the cPanel. You should keep your account username and password handy for this. If not, you can check your email for your account details. Step 2: Once you’ve logged in, you should load into Bluehost cPanel area. In the home page, you need to look for an icon that says “Install WordPress”. Click on that and it will take you to the installation page. Step 3: When you click on the “Install WordPress” icon, you should load into a new website called Mojo Marketplace. There will be a “START” button that you need to click on to start the actual installation process. Side note – Mojo Marketplace is a website that hosts popular site building programs and applications in one place. Basically, they help make it easier for you to install applications such as WordPress. Step 4: After you click on the “START” button, you’ll be taken to a new screen where you’ll have to provide your website details, which is needed to install WordPress. You can choose to leave it blank (which goes to your default domain name) or add a specific website domain name. Click on the “NEXT” button when you’re done. Step 5: The next step is to secure your WordPress by choosing a username and password for your account. Be sure to come up with a unique username and password in order to keep your account secure. Finally, click on the “INSTALL” button and the installation process will begin. An “Installation Complete” will appear once it’s finished installing. You’ve done the technical part of the process, now it’s time for some of the creative part. Designing and installing a theme for your website. It’s important to note that a good website design is as equally important as good content. A website with horrible visuals will turn off any readers before they get to any of your content, regardless of how good it is. Free Themes — These are basically themes that come with WordPress that you can use for free. Free themes and templates are great if you’re looking to keep your costs low. However, while some are good, most free themes are not that amazing. If you’re just starting out and need a simple design, these will do the job just fine. Once your website grows bigger, you might want to consider investing in better themes. Premium Themes — Want to take your blog to the next level? Then you’ll need to use a paid premium WordPress theme instead. With premium themes, you will have a unique website design that offers more flexibility and functionality. Premium themes will cost around $25 and above, depending on what the features are and who is developing it. If you got the means and the budget, try to get yourself a premium theme. Custom Themes — Now, if you have plenty of money to spare, then you might want to consider designing an entirely custom theme for your website. To do this, you’ll need to hire a web designer and developer to build the website that you desire. Of course, going for a custom design is going to cost you. The average market price for a really good custom WordPress theme from a good designer will start at about $1,500 USD, Though it’s possible to go up to $5,000 for some. For a new blogger, we recommend that you either go with a free theme or a premium theme as not only it’ll be easier to install, it won’t cost you as much. When your blog starts bringing in bigger traffic, then you can consider upgrading to a custom theme and make a website that’s uniquely yours. At this point, you should have all your bases covered. Create and set your basic main pages of course! About Page — This page is basically where you put your introduction, tell people what your blog is about, and other interest facts and tidbits about yourself. Contact Page — Communication is key on the internet and your audience will need a way to reach you. So use this page to add your contact information, such as your email address. Privacy Page — This will be the standard user agreement page which lets people know what the applicable laws are on your site. Copyright Page — If you want to make sure that nobody steals your work, you’ll need a copyright page as well. You don’t want people using your content and claiming it as their own, do you? Created and ready to go. Now you’re ready to start writing your travels on your freshly made and awesome looking blog. Need help with your blogging skills, you can check out our huge guide to building a successful six-figure blog! Now that you’ve seen how to create a professional travel blog, let us know your thoughts in the comment box below. Jason Chow is a social media manager for hire who offers SMM services to tech startups, solopreneurs and small businesses. He aims to deliver the best results for his clients. You can find him at Webhostingsecretrevealed.net.